If you’re rolling your eyes at me for a holiday post before Halloween, trust me, I get it. But the happiest time of year always seems to sneak up on me, especially when it comes to entertaining essentials. I came across this darling Christmas tablecloth over the weekend, which got me thinking about holiday hosting and some of the items I’d like to add to my collection before the craziness of the season really sets in — starting with the bar. I tend to avoid barware or serving pieces that are holiday-specific; we don’t have that much room to store extra glasses and plates emblazoned with holiday designs. (But I’ll cave when it comes to especially darling items like the appetizer plates I bought last year.) 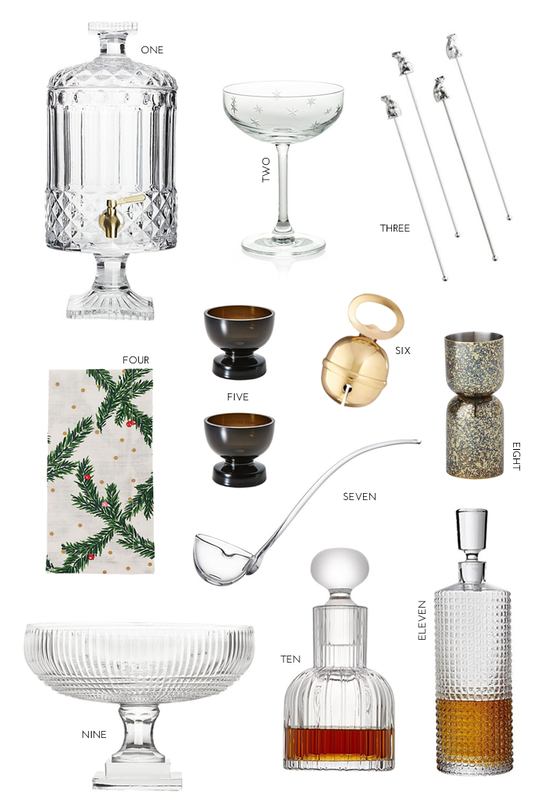 In this roundup, you’ll find a selection of items to refresh your bar well in advance of the holiday hosting season. For the most part, these are timeless classics that can be used throughout the year. I own both of the decanters; they look more expensive than their affordable price point of under $40 each. (They sold out closer to the holiday season last year, so get ’em now if you’re into them.) I also have the smokey glass cordial glasses. They’re a lot smaller than you might expect, but they’re perfect for a small sip and look so chic. 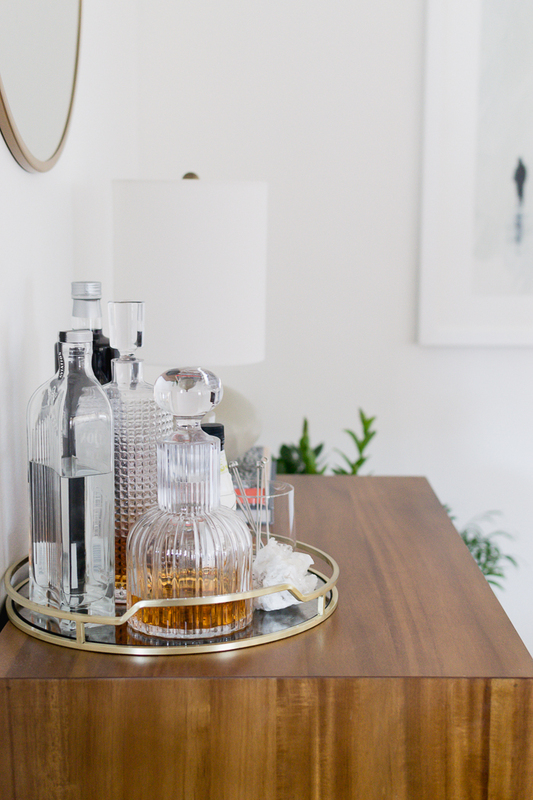 While I don’t own that drink dispenser, I love the idea of making a batch cocktail and letting guests serve themselves so I don’t have to play bartender all night. I swear that spring is on the horizon, despite this week’s snowfall, making it the perfect time to freshen up your living space. 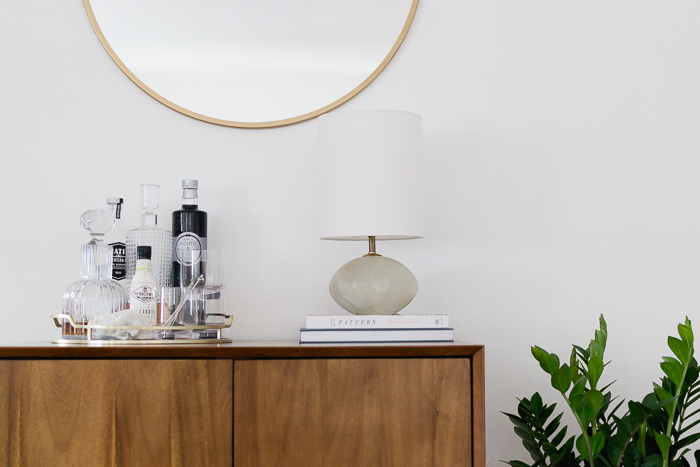 We’ve been cleaning everything, cracking open the windows whenever the mercury creeps above 50 degrees, and adding a few new home decor items to make our space feel new again. 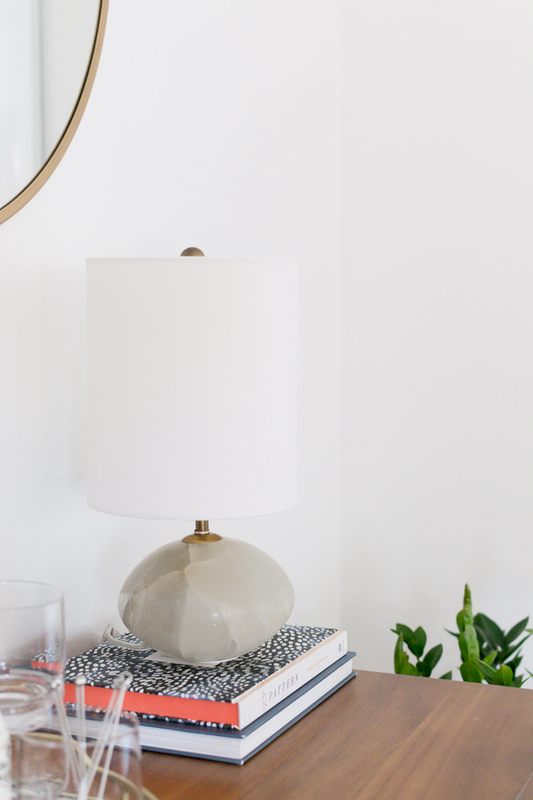 It’s so easy to get in a decor rut once you find a piece you love, but swapping out items (or moving them around your house) is one of the easiest ways to give your home a facelift, and items from Cottage & Bungalow are perfect for a warm-weather makeover. Established in 2004, Cottage and Bungalow offers coastal furniture and beach decor and accessories that are chosen for their design and quality. Their products have been featured in a variety of national design and lifestyle magazines, including InStyle, Country Living, Coastal Living, and more. 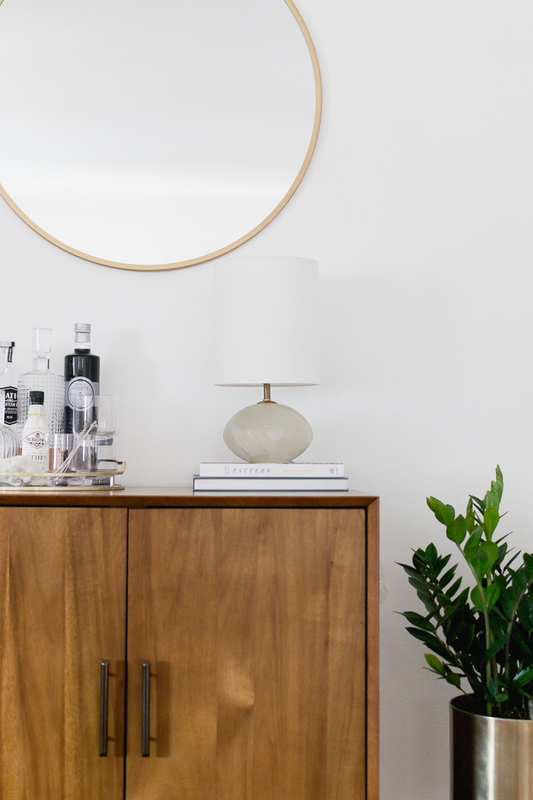 As I’m sure you’ve gleaned, we have a mid-century-modern-meets-traditional vibe in our 1920s house. Cottage & Bungalow specializes in coastal design, but don’t let that dissuade you if your aesthetic is similar to mine. 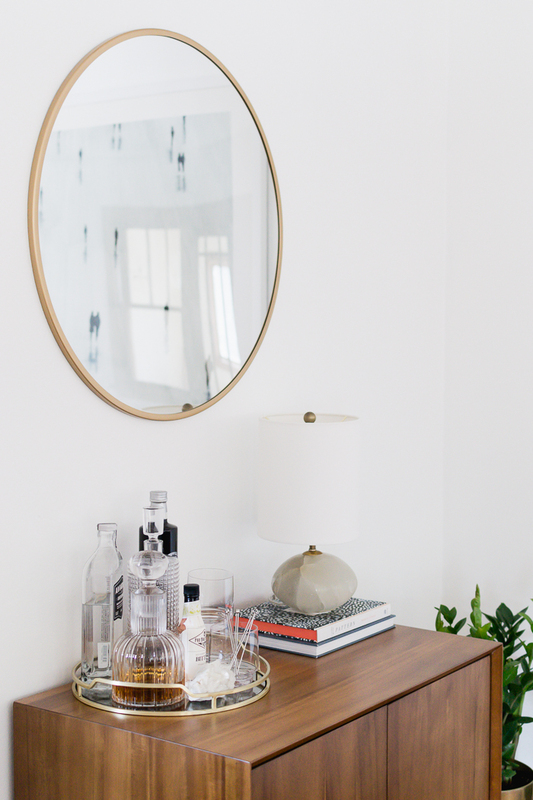 There are plenty of pieces that can fit within any decor. One of the pieces I was most excited about was this gorgeous alabaster lamp. The shape is spot on for mid-century modern decor and the stone adds a welcome natural element to the space. 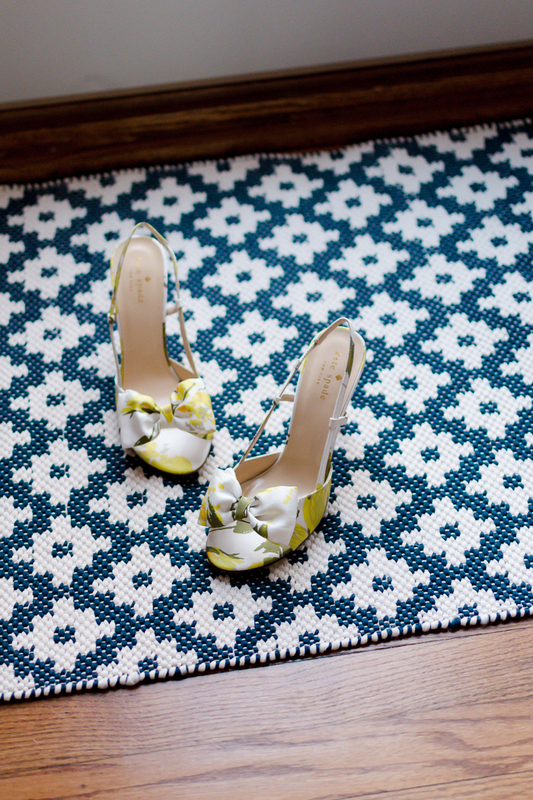 In another area of the house, a Dash and Albert rug from Cottage & Bungalow adds a bit of global glam to the entryway. 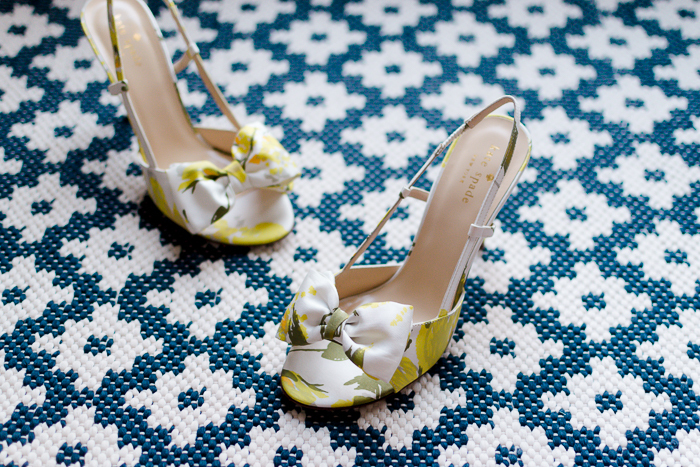 (I had a buffalo plaid rug down for fall and winter and I couldn’t stand the heaviness of the pattern this season.) 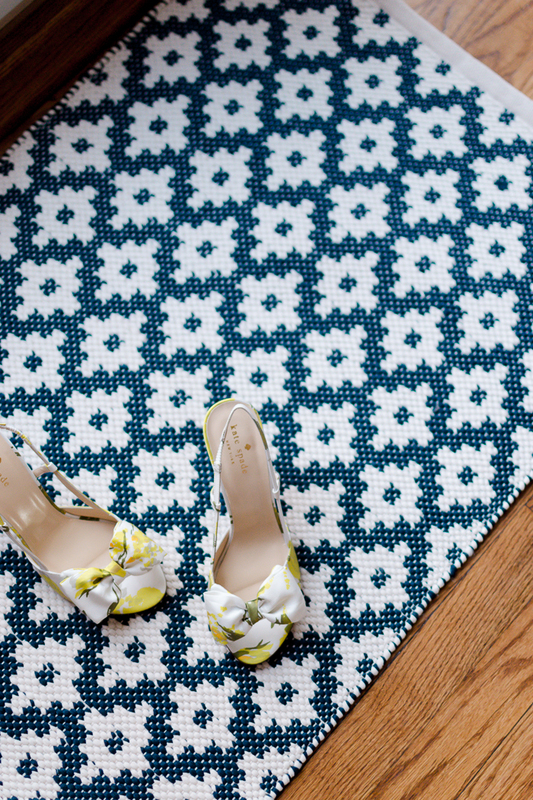 Plus, the rug is made from polypropylene, so you can just hose it down and let it air dry when it gets dirty. Other pieces I love include this quilt, a macrame throw pillow, a bar tool set, and this gorgeous rattan chair. You can save 15% at Cottage & Bungalow through July 6, 2018 with code BEDKNOBS. Some exclusions apply due to manufacturer restrictions.